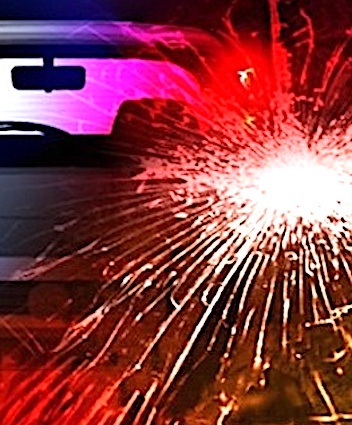 WYTHEVILLE, VA. (THECOUNT) — Wytheville, VA, woman, Danielle M. Reeves, has been identified as the victim in a fatal Interstate 81 crash in Wythe County. Reeves, 25, was traveling in a 2014 Chevrolet Equinox on I-81 in Wythe County late Monday morning when she exited the roadway for an unknown reason. Reeves crossed centerlines and struck a Chevrolet Silverado that was towing a horse trailer. The impact of the collision sent both vehicles off the side of the roadway and through the guardrail, down an embankment and into a ditch. Reeves was pronounced dead at the scene. Two 5-year-old female passengers and a 3-year-old female passenger were flown to Carilion Roanoke Memorial Hospital for treatment of non-life threatening injuries. It was noted in an accident report that Reeves was not wearing a seatbelt at the time of the crash. The horse in the trailer did not survive the crash and died at the scene.